Millions of people regularly take anticoagulant or antiplatelet medications (sometimes called “blood thinners”) to help prevent heart attack and stroke, and to manage a variety of medical conditions including cardiac arrhythmia and stent placement. While these drugs have proven, life-saving benefits, they can also cause side effects such as increased bleeding. That's why we may be concerned if you're taking one of them and you need to have a dental procedure. If you are taking one or more of these medications, it will take longer for any type of bleeding to stop. For some dental or surgical procedures, that's a factor that must be considered. The most important thing you should do is inform your dentist right away if you are taking any kind of anticoagulant or antiplatelet medication — especially if you have just started taking it. We will note the medication and dosage in your records, consult with your cardiologist (or other specialist) if necessary, and discuss what's best for you. While each patient is different, there are some generally accepted guidelines for having dental work while taking anticoagulant medications. If the drug is being taken on a temporary basis (after knee replacement, for example) then the safest choice might be to put off non-essential dental procedures. However, in many cases it's entirely possible to have needed work done while taking anticoagulants. 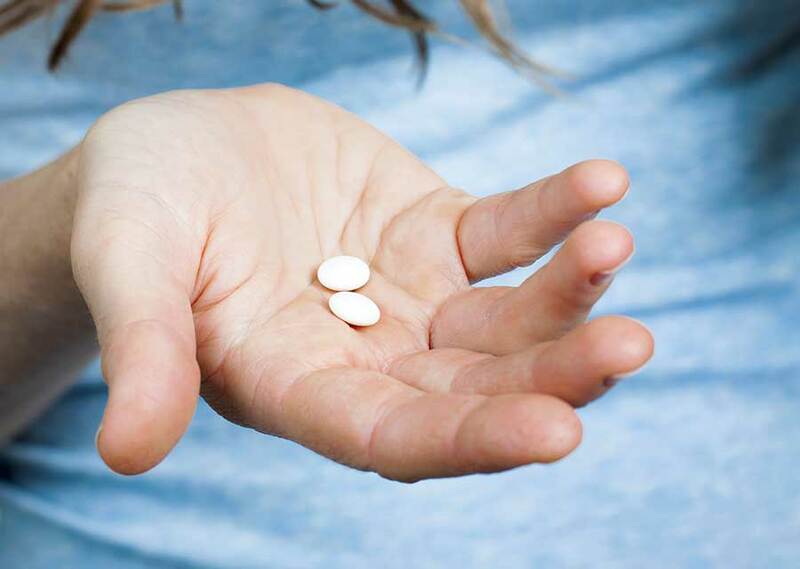 In each situation, we must balance the risk of increased bleeding against the chance that going off the medication could cause more serious problems. A number of studies have shown that for many common dental procedures — cleanings, fillings and restorations, for example — it's safer to continue taking anticoagulant medications than to stop, even temporarily. That's because it is generally possible to control bleeding with local measures (such as biting down on gauze), using hemostatic devices and minimally invasive surgical techniques. Scheduling dental work for early in the day and allowing plenty of time for rest afterwards also gives us an opportunity to control any bleeding that does occur. In some cases, more extensive dental procedures such as tooth extraction or implant placement may be recommended for people taking anticoagulants. As always, the potential risks and benefits of stopping the anticoagulant medication must be carefully weighed. To help in the decision-making process, we may order one or more diagnostic blood tests, such as prothrombin time (PT) or International Normalized Ratio (INR), and make a judgment based on our clinical experience. It's extremely rare for common dental procedures to cause potentially life-threatening complications. However, we want to take as few chances as possible. That's why we ask you to tell us about any medications you may be taking, including herbs and vitamins. While taking anticoagulants doesn't prevent you from having dental work, it's important to keep us informed so we can help make the best decisions about your treatment.